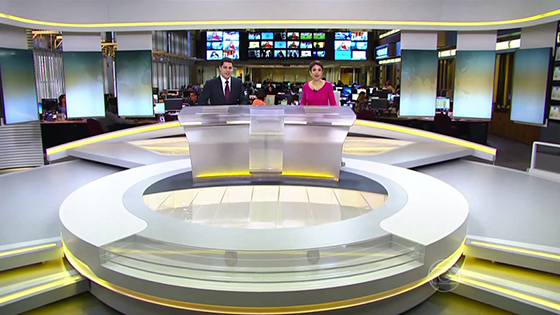 Globo, the Brazilian media network launched in 1965 by mogul Roberto Marinho, debuted an innovative new set this week along with updated graphics and branding. 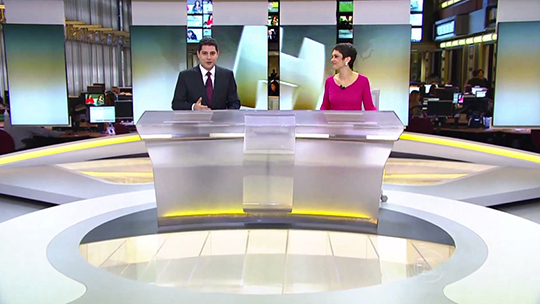 “Jornal Hoje,” the networks daytime news program, has a large set that faces the networks newsroom. 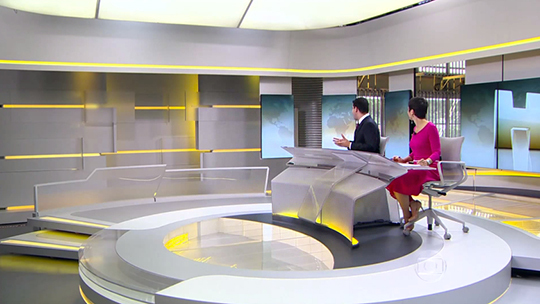 A unique feature of the set is a moving zero-bezel monitor wall that can divide the set from the newsroom. 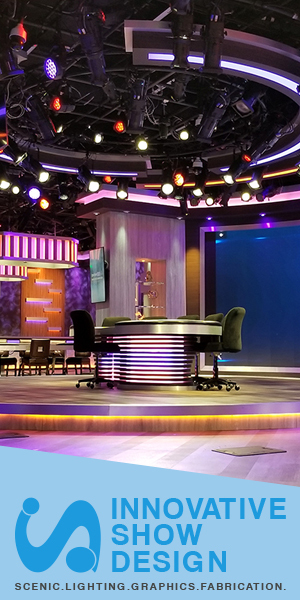 Six monitors move along a track that circle the set and can be arranged in various configurations, depending on the story. Design wise, the set has a sleek grey color scheme with many backlit yellow elements adding pops of color. The set feels like it’s from a futuristic movie, like a control room. It has many layers and a very unique desk design. 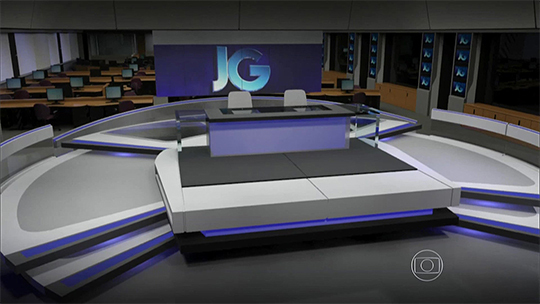 Globo’s other signature program, “Jornal da Globo,” has yet to debut its set that features similar design and technology integrations.